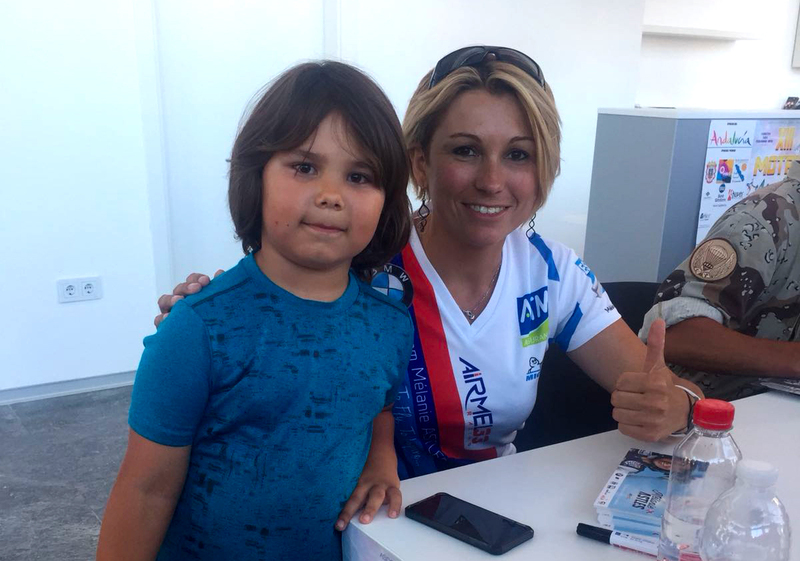 Time has flown by since Mélanie’s first race of the season in Cannes where she finished in 4th place. This week she is off to Budapest for her second race of the season. Let’s find out how she is, going into next weekend’s race. Melanie, you finished 4th in Cannes, your home town, with a 2 second penalty. How did you take it? Well, I was really disappointed of course; it was so close. I over-G’d in the second VTM by 0.06G for something like a hundredth of a second and I could not believe it! Without that I would have been in front; but rules are rules and you have to be willing to push to the limit. I always say you never lose, you only learn to win, and this is exactly what happened in Cannes with those VTMs. I made a lot of progress so I am really excited to be able to try that again next weekend in Budapest. What was flying in Cannes like? It was really magical and stressful at the same time. The public were fantastic, my team and all my supporters were there and it was great to feel all the energy. 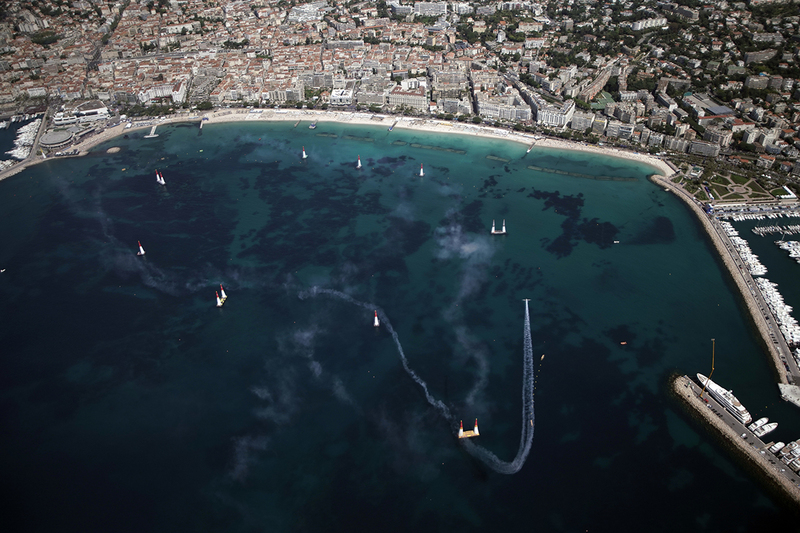 I really liked the track and the bay of Cannes is ideal for an event like this. The weather was perfect, the sea was transparent. It was beautiful! In all the week was very intense and tiring but I really had a lot of fun and I hope next year I’ll be on the podium. Melanie, it’s also been hard to keep up with you because you’ve been flying so much since April. You hardly touch the ground… What’s all that about? 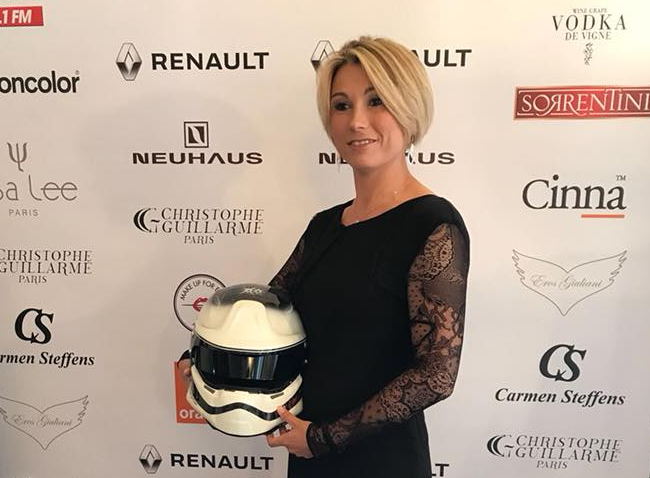 Well, just after the race in Cannes I took a big decision and decided to put my airline career on hold for the time being. It was a hard one to take, but I really could not be at my best in sports and also fly an airliner at the same time. 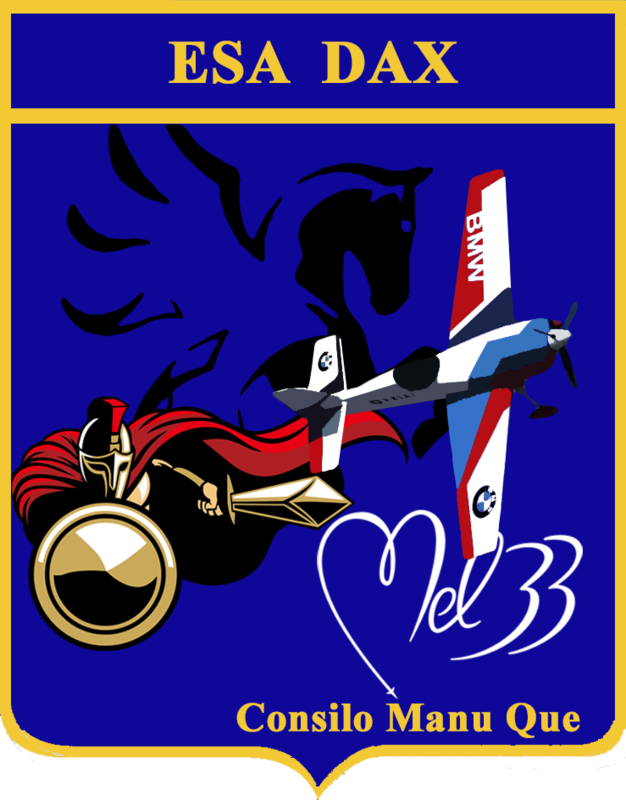 Since then, well, I have decided to participate in the French National Aerobatics Championship in July and keep my sights on the World Aerobatic Championship in 2019. That is big news! So how is your training coming along? It’s coming along fine even though there is not much time left! Luckily I have a great aerobatic coach, Pierre Varloteaux, who is helping me progress really quickly. He knows all the little things that makes an aerobatic manoeuvre look perfect and I am really happy with the way things are going. I also have Romain Guillot who is keeping me physically fit and André Armand who is helping stay mentally calm and focused. Together with my team, the future looks really exciting. What else has happened since Cannes? I think you have something with the French Army, tell us more. I am honoured to say that I am a Sponsor of the Escadrille des Services D’Aerodrome of the French Army Light Aviation flight school in Dax. From air traffic control to weather forecasting, the squadron is comprised of the men and women who work behind the scenes to make our flying possible and safer. I am very proud to recognise their work and devotion. Special thanks to Francois Pierre and the team that came to support me in Cannes! Tennis would not normally be your cup of tea, but you went to Roland Garros this year. 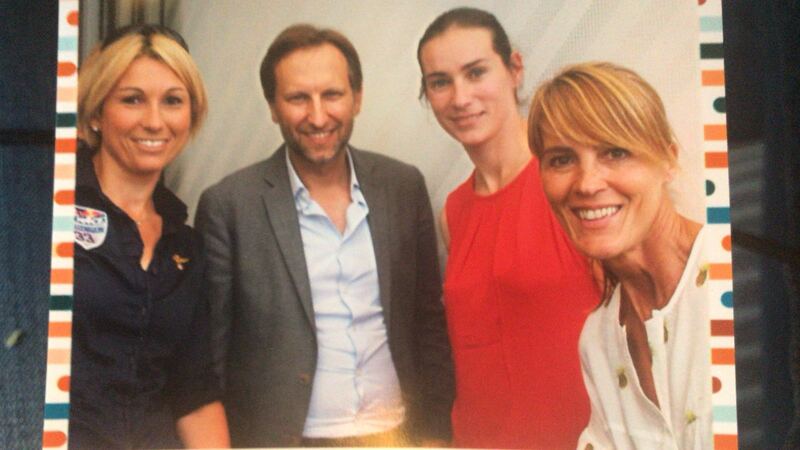 Yes, I don’t play tennis, but Nathalie Simon, who is an athlete I have admired for many years, invited me for a luncheon event there with Isabelle Kocher, the President of Engie, and other women who have made their place in this world. It was great to meet other women who have also fought to be successful in what they do. I felt honoured to be there. The icing on the cake was watching Nadal play that afternoon. You were seen in Monaco recently too for a gala dinner. That must have been a very different experience. 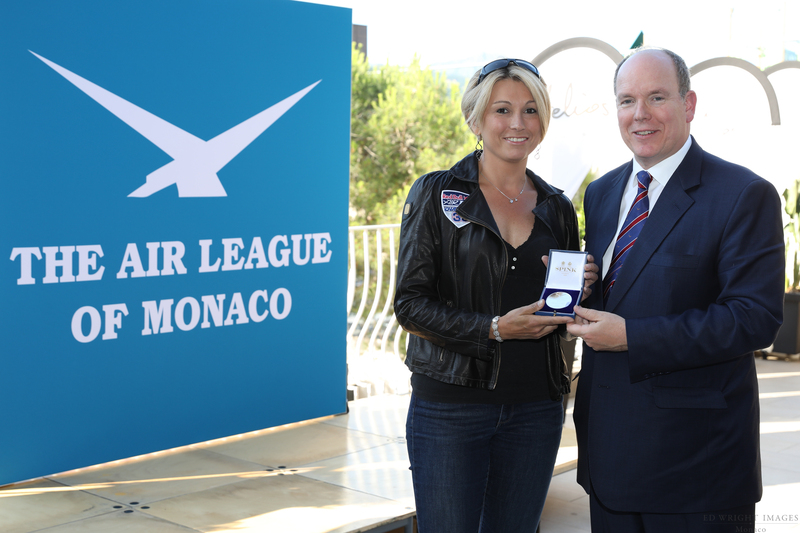 It was, and I was very honoured to receive the Air League MC silver medal for special achievements in aviation from HSH Prince Albert II. It was a wonderful evening, and I could not help thinking about all those people, friends and family, who believed in me over the years and helped me to get to where I am today. Somehow this medal is also theirs. I really don’t usually feel like a star at all, but I was invited to the Cannes Film Festival. I had to trade my flying suit for an evening dress. I then walked the red carpet at the Palais des Festivals, and seeing all those photographers, film stars, the ambiance of it all, well, it was something completely different. I still can’t believe that so much has happened in such a short while. I am so grateful to everyone who has helped make all this possible. Last weekend you were at the Motril Air Show in Spain for you first air show of the season. How was that? A trip that was a great adventure, a weekend with lovely people, what more could I ask for? 70000 people came to see us. If the Eurofighter was not coming after me in the show I would still be there flying! I really hope to return there next year and stay a bit longer. Another star of a different type crossed your path recently as well. What was meeting the legendary Ari Vattanen like? That was amazing! We had a lot of fun. He is an acrobat with a car and one of the nicest people I have met. 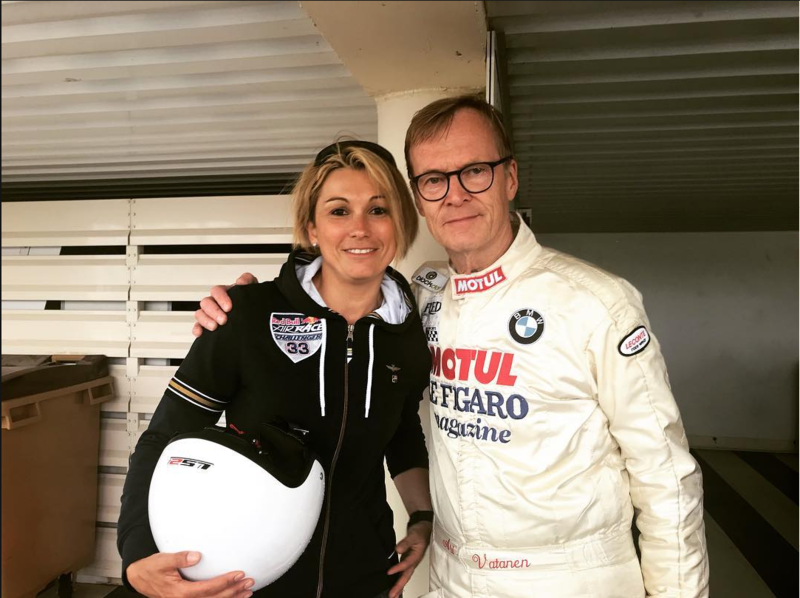 Thank you to BMW and everyone at Le Castellet circuit for making that possible. Smoke On… Smile On !